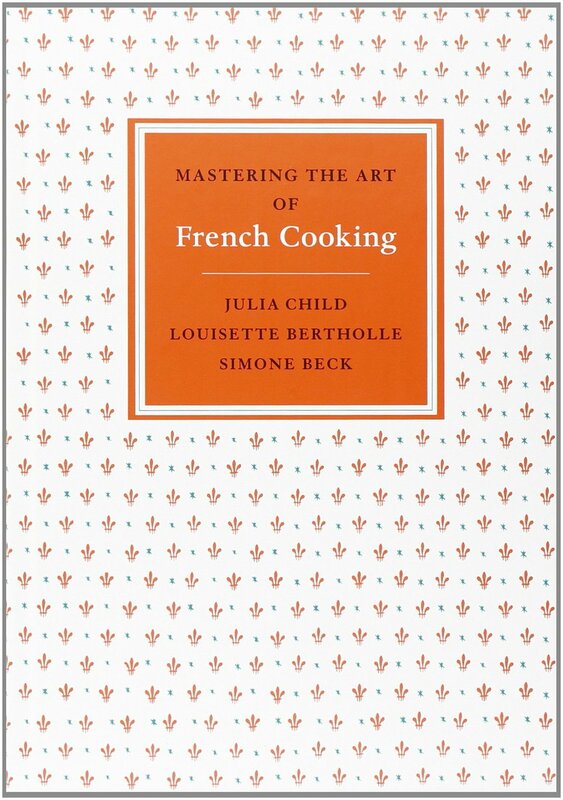 In our conversation with Russell and Marian Morash, she relayed a story of how when Russell was producer on Julia Child's The French Chef, he brought home from set a prepared goose stuffed with foie gras and instructions on how to cook it. 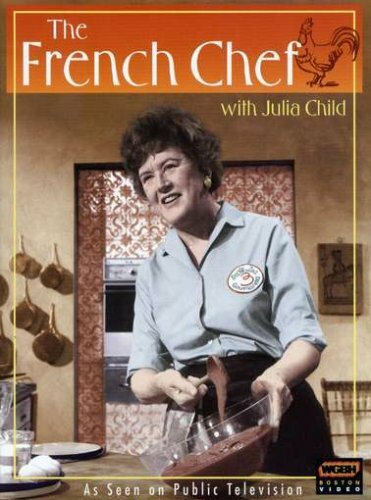 For a housewife in the food wasteland of America in the early-1960s these flavors were totally revolutionary and led Marian to become a chef herself. Roasting a goose is almost exactly like roasting a duck except there is a lot more basting involved. You’ll need to baste the bird every 15 to 20 minutes to help dissolve the excess fat. The estimated roasting time is about 2 and 1/2 hours for a 9 lb. goose. Soak the prunes in hot water for 5 minutes. Pit them as neatly as possible. Simmer them slowly in a covered saucepan with the vermouth and stock for about 10 minutes, or until just tender. Drain. Reserve cooking liquid. Saute the minced goose liver, and shallots in butter for 2 minutes. Scrape mixture into a mixing bowl. Boil the wine in the same skillet until it is reduced to 2 Tablespoons. Scrape it into the mixing bowl with the liver. Salt the cavity of the goose. Stuff it loosely with the prunes. Sew or skewer the vent. Secure the legs, wings and neck skin to the body. being careful not to pierce the meat. Prick the skin over the thighs, back and lower breast. Dry thoroughly. Set it breast up in the roasting pan. Brown the goose for 15 minutes in hot oven. Turn goose on it’s side, lower heat to 350, and continue roasting. Using a bulb baster, baste every 15 minutes with 3 Tablespoons boiling water, and remove excess accumulated fat. Tilt the pan to access fat easier. Turn the goose on it’s other side at the halfway-done mark (1 hour and 10 minutes into baking time.) Turn the goose on it’s back 15 minutes before the end of the baking time. The goose should be done in 2 hours and 20 to 30 minutes, when the drumsticks move slightly in their sockets and when the fleshiest part of one is pricked, the juices run a pale yellow. Don’t overcook or the goose will become dry. When done, discard strings/skewers and set goose on platter. Tilt the pan, spoon out fat, but leave the brown roasting juices. Pour in the prune cooking juices and 1/3 cup port. Boil down rapidly, scraping up roasting juices until liquid has reduced somewhat and becomes richly flavored. Correct seasoning. Swirl in 2 Tablespoons butter. Transfer to a warm gravy boat, spoon a bit of the sauce over the goose, and serve with the prune foie gras stuffing and other favorite side dishes. 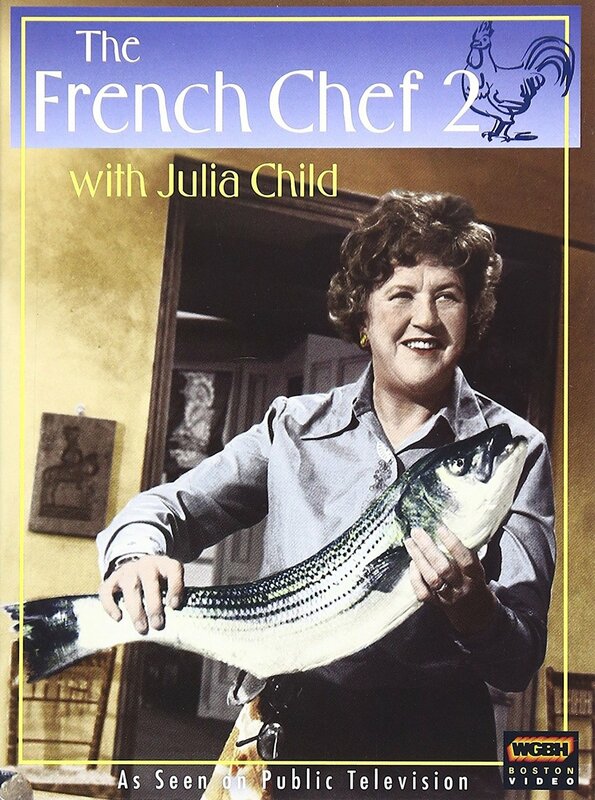 Julia Child's "The French Chef"
Julia Child's "The French Chef 2"